And then you get to the tree top walk and what a view and experience. The crosswind will make you feel unsteady but it is a stable bridge although it can feel claustrophobic since it's narrower and only one-way traffic. But once you're in the middle of the bridge, it truly is awesome. Don't forget to take a panoramic shot. Speaking of panoramic shots, the Jelutong Tower is also worth a climb... The TreeTop walk is a 250 meter suspended pathway between the 2 highest points in MacRitchie, Bukit Peirce and Bukit Kalan. At the TreeTop Walk's highest point, you'll be 25 meters above the ground - that's up to 7 storeys high! Walk towards either end of the bridge and enter from there. Exploring Bukit Timah Rail Corridor Before I went exploring, I was so worried that the unused railway station and tracks would be already torn down and removed, with only trees and grass left, but my worries were unfounded. 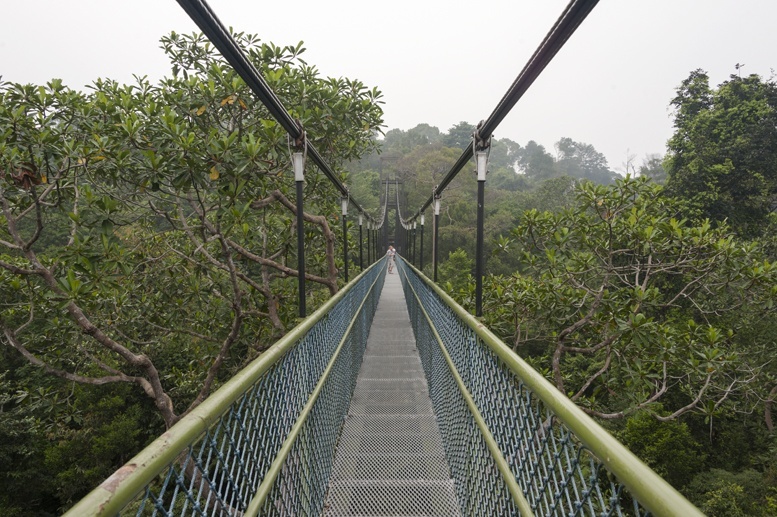 The treetop walk is a suspension bridge spanning the height of the two tallest hills (Bukit Pierce and Bukit Kalang) in the MacRitchie Nature Reserve area. The unidirectional 250m suspension bridge is wide enough for a single person to move across it at any time and provides a different view of the green canopy that is the Nature Reserve. 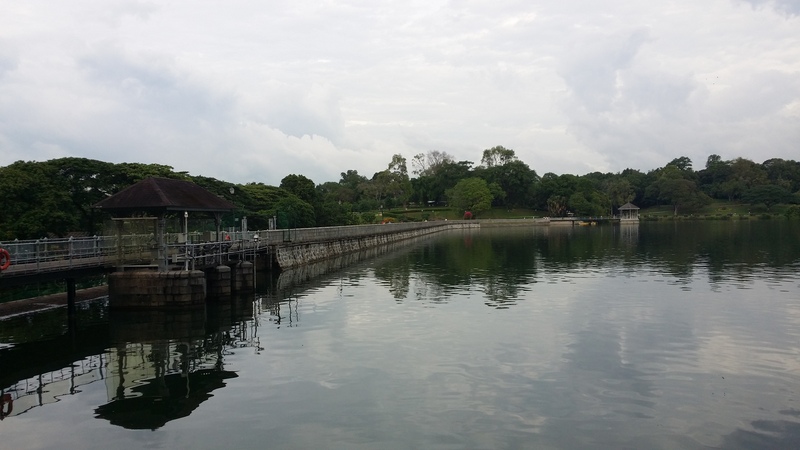 Trail Length & Route � The distance to the entrance of the TreeTop Walk is approximately 6 km (1.5 � 2 hr walk) from MacRitchie Reservoir Park and 2.5 km (45 mins � 1 hr walk) from the car park at Venus Drive. A round trip including the TreeTop Walk is about 8 Km to 14 Km (3-5 hrs depending on your walking pace and from where you start). How to get there �The TreeTop Walk is accessible from MacRitchie Reservoir Park via MacRitchie Nature Trail (indicated as Route 3 on map) or from Venus Drive, off Upper Thomson Road. The distance to the entrance of the TreeTop Walk is approximately 4.5 km (1.5 � 2 hour walk) from the reservoir park and 2.5 km (45 mins � 1 hr walk) from the carpark at Venus Drive.